The May Die of the Month Kit is truly sweet! 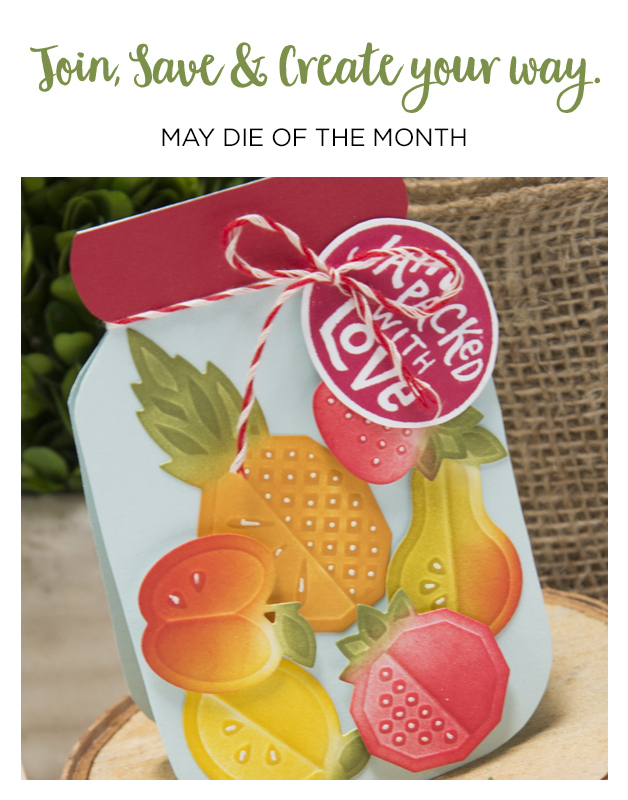 Filled with a variety of fruit dies including a pear, apple, strawberry, pineapple, lemon and an orange you can create an array of fun projects this summer. Create the You’re The Best Garden Pick, The Jar Packed with Love Card or something unique.